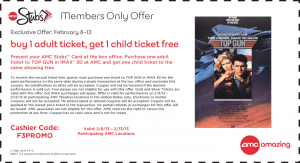 If you are a AMC Stubs Member they have a great deal running. Buy 1 Adult Ticket and get a free ticket with purchase. 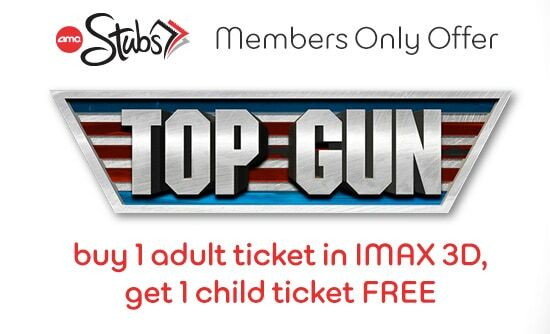 This is for the all new Top Gun 3D version of the movie and is good only from Feb 8-13th you must be a Stubs member which you can signup for at the theater. AMC Stubs members save all kinds of money on Food and tickets. Make sure you get the card. 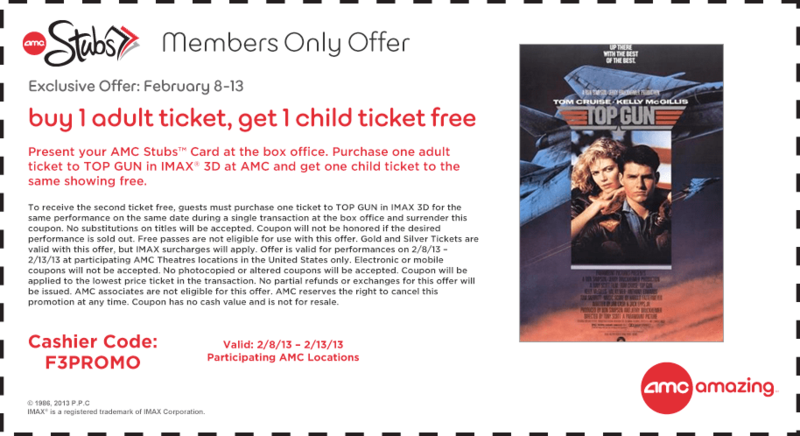 Below is the coupon to print and bring with you to the theater.